Feet love around the world... week 1! So you know that I completely adore Nicole from My Teacups in Peony (you read the interview right!) and I honestly think she is after my blogging heart. Feet photos... weekly... I am there, I love it!!! 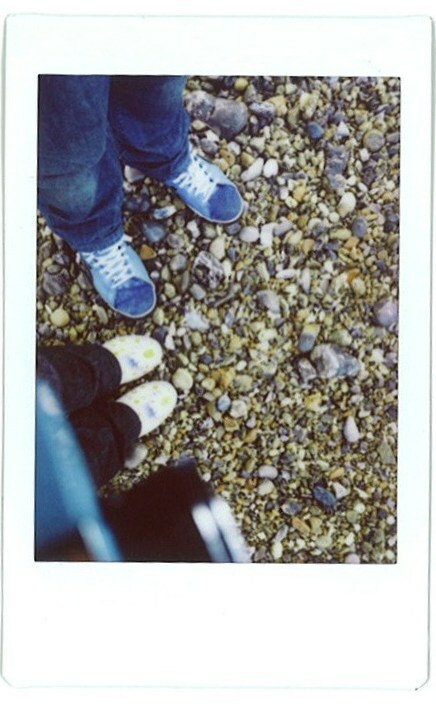 Luckily I took a great feet photo with my fuji instax on the beach so I have one to share today, yeay! Don't you love how you can see my Diana mini there as well? And the wellies have daisies on them - I loved them! I am definitely going to be doing this every week! p.s. I really love my fuji instax mini - 100 photos is not enough, I'm going to need more!